There are plenty of concerns for leaving everything on at all times. Chief among those are for energy-saving reasons and that the computer components may be harmed by staying on at all times. Let’s handle the latter first. It has never been proven that leaving your computer on will harm it, or your mobile device for that matter, and many consider that thought to be technology myth. 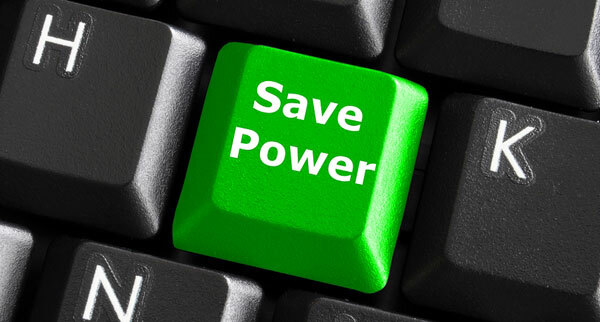 As far as saving energy, yes it can help to shut your computer down every night. But there are other methods that can save some money as well. 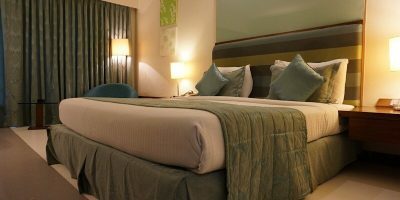 Certainly leaving any electronic device plugged in and on will add up on the electrical bill. That’s a valid argument. However, you can also power down the monitor and hard drive overnight so that they are using less energy. It’s somewhat of an electronic compromise. 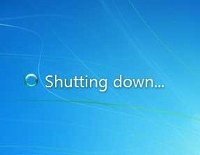 Will regular shutting down hurt the computer? Confusing the matter, there are also concerns with doing a daily shutdown on your computer and devices. Some believe that the computer components can be harmed with this practice as well, feeling as the the constant on and off will put additional strain on the components. While it does affect the components, it’s never been proven that it’s a particularly harmful effect. And of course, the number one reason we want to leave our computers on is because it’s a pain to open up and sign back in to numerous apps and websites. Of course there are plenty of apps and browsers that will save that information and automate the opening process, but it can still be a pain. It’s so much easier just to leave it on. With phones, we often leave them on because we don’t want to miss that important call. Since it’s a hot debate, we put this question to our staff here at Make Tech Easier, asking them what they do with their machines. Surely we can look to them for some expertise. Not only do we write about them, we’re on them all day long. I’ve gotten into the habit of never shutting anything down. I’m one of those who hates to open everything up again. I used to shut down every night, but no longer. One of the reasons I got out of the habit is because of my use of mobile devices. Most work I do is on my iPad, and there just seems to be no reason to turn that off. When I do shut my Mac Mini, iPad, or iPhone down it’s because I’m turning it right back on again. If something’s not working right, my first option is always a restart. It clears out memory and makes things work quicker and better, even if it’s just a little bit. I do utilize the sleep modes on my Mac and my devices. Ruji is a lot like me in this regard. She never shuts down her devices, as she doesn’t see the need. She, too, performs shutdowns when a computer is acting up, yet logs right back in again. “I loathe the process of waiting for my computer to boot, so I avoid shut-downs.” She only shuts her phone down when she’s changing the battery. Emmanuel is one of those who shuts his computer down every day, sometimes twice a day, as he does it before bed, as well as before leaving. He doesn’t want to waste the energy of leaving it on all the time. If he has to perform a large upload or when he’s updating OS X on his Mac, it falls under the very few times he will keep it running all night. He likes to use the Mac’s Power Nap feature in that instance. Trevor is another one to make sure everything gets a daily shutdown. He shuts down his Android phone and tablet daily and his Windows laptop gets power-cycled usually every day. He finds the devices gain some speed after a reset, especially his phone. Some apps he uses seem a little glitchy if he doesn’t power down every day or two. For Soumen, the option to leave his computer on or shut it off depends on how the PC is being used. He has a Lenovo laptop with a really bad battery life, so he just leaves it connected to an external monitor and uses it for secondary tasks. He never shuts it down and just does restarts every few weeks or so. On the contrary, his Dell laptop, the PC he uses for all his professional work, enjoys a regular shutdown schedule. It stays in standby when he’s working, and he shuts it down every night. Like Soumen, whether or not to do a daily shutdown depends much on your usage and what you feel comfortable with. Just know that it’s neither safe nor unsafe for your computer or devices. If you have some sort of “continuous backup” set up, you could probably shut down your machine nightly. But for doing a scheduled daily backup that won’t interfere with your work, you probably have no choice but to keep it running 24×7. Aside from your energy bill – which I don’t have to worry about since it’s bundled with my rent – the only real reason to worry about keeping the machine on is the wear and tear on the power supply. Just expect to have to replace the power supply sooner. It’s probably best to schedule a power supply replacement rather than waiting for it to fail. Before I retired from Lafarge Plasterboard every computer was always left on for twenty four hours. The enviroment was extremely hostile, dust and extreme heat everywhere. if one was opened up in my section (for a service: They were hired) it would be mired in dust. the only thing I witnessed was some screen burn on older monitors otherwise, no problem. Myself, I always shut down. I tend to put my computers into sleep or hibernation, occasionally shutting them once every week or so. The majority of windows users have to shut there computers down at least once a week for the stupid updates. Thankfully I only use Windows once or twice a month! I put all of my computers in sleep at least to save power. That said, I only fully shut them down when I know I’m not going to use them for more than a day.. I very rarely shutdown mobile devices (unless I run the battery totally flat) because they’re so annoying to startup..
They’re too much like a WinXP machine with lots and lots of bloatware set to autostart..
Shutdown, really? The most damaging thing that can happen to an electronic component is the current surge during turn-on. I leave everything on, only turning off when absolutely needed. Rarely ever have anything fail. Stuff here gets replaced because it gets too out-dated, not because it died. Do You Shut Down Your PC at Night?